* This is the date that the volunteer should arrive in Bangkok. If they arrive at BKK International Airport on any of these dates we will arrange to collect them at the airport. If they arrive before these dates, they will need to organise their own airport transfer and accommodation until these dates, then make their own way to the hotel in Bangkok. 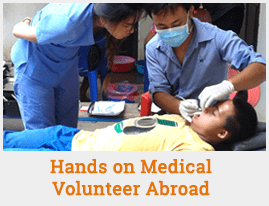 Once they meet our team they will spend two nights in Bangkok before traveling to Surin on the Sunday and beginning their volunteering on the Monday.